So, here’s our studio. It was my school room for homeschooling till z got into high school. Plus, everyone uses it for something. My husband plays guitar here, my daughter plays her electric piano. And I read out here. Since our house is small it’s been one of the best things we ever did. So new colors. I want the main house a way darker green but this worked out. My daughter is painting the inside. She is starting her MLS on line graduate school so we’re putting out the Heywood Wakefield desk for her to work on. I’m going to move our Heywood Wakefield dining table in our bed room as a desk. I was going to sell it as it wobbles unless it is against a wall, so now I will repurpose it. It’s actually nifty as it folds down (with the leaves out ) quite small. So a win win. Now I can explore buying a farm type table. On another note, I’m 100% sure I didn’t have shingles but a chlorine burn from the pool. My husband has sprinkled shock that morning and he thinks it landed on my floatie. I think I overreacted, but it certainly was burning and itching. So I stopped the acyclovir. If I need it again, I’ll have some on hand. I’m still waiting to hear from Curascript . Not sure what’s up there. If I don’t hear by Wednesday I’ll call the nurse. Also, I had faxed my insurance reimbursement to LLS, midmonth. Well I called today and they never recieved it so I went to town and refaxed it. So somewhere in cyber space is my LLS forms. Next time I’ll just mail them like I usually do. I appreciate that I can get that grant and help monetarily. Well,I have been busy on a rearranging and decluttering day. 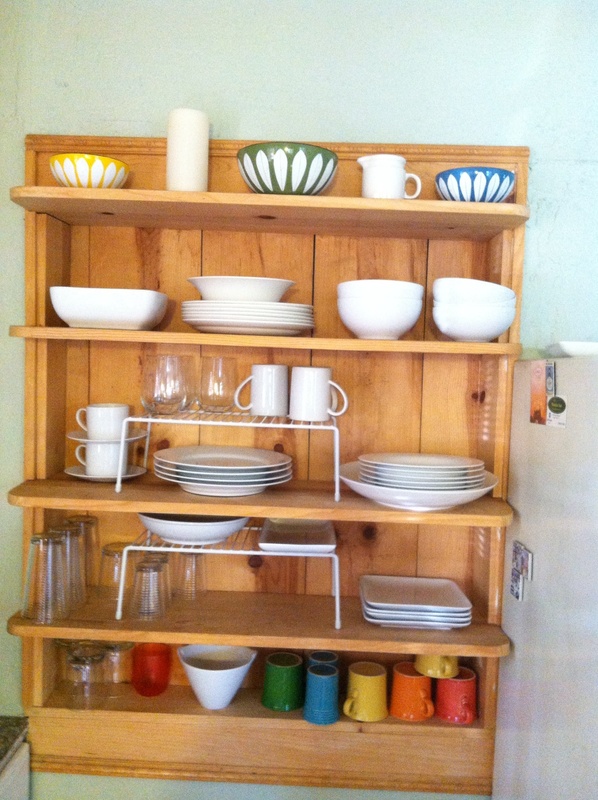 I decided to move all our white dishes over to these built in shelves. (That’s not all the dishes, half were in the dishwasher). 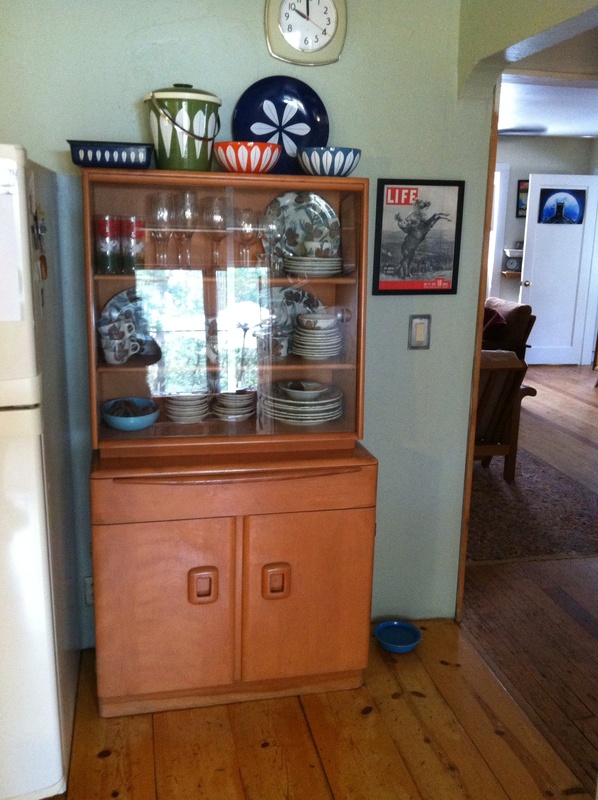 Then I moved my vintage Neddles and Pine dishes into the Heywood Wakefield . That’s only half of them. That’s not a good picture nut you get the idea. 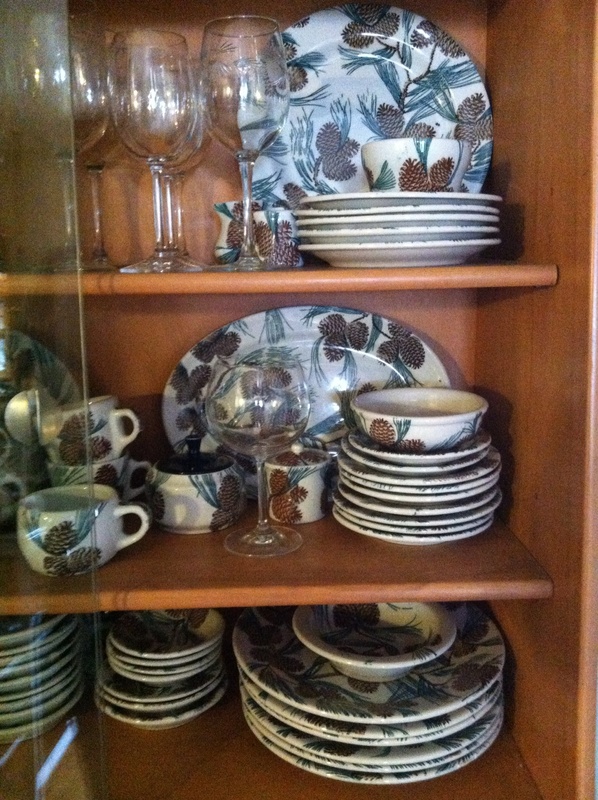 Then I moved the fiesta ware( only half to the front room bookcase . 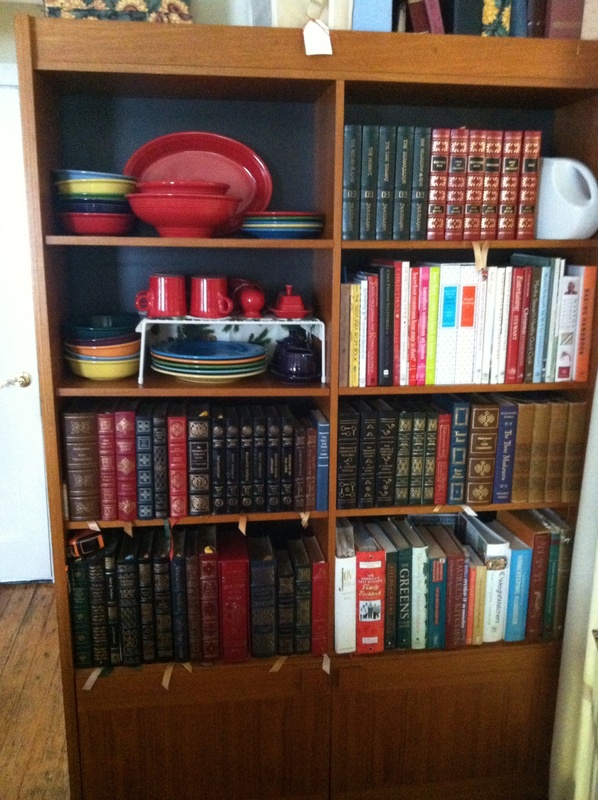 So then that allowed me to move a whole bookcase from the kitchen . Then I had my husband remove the door. 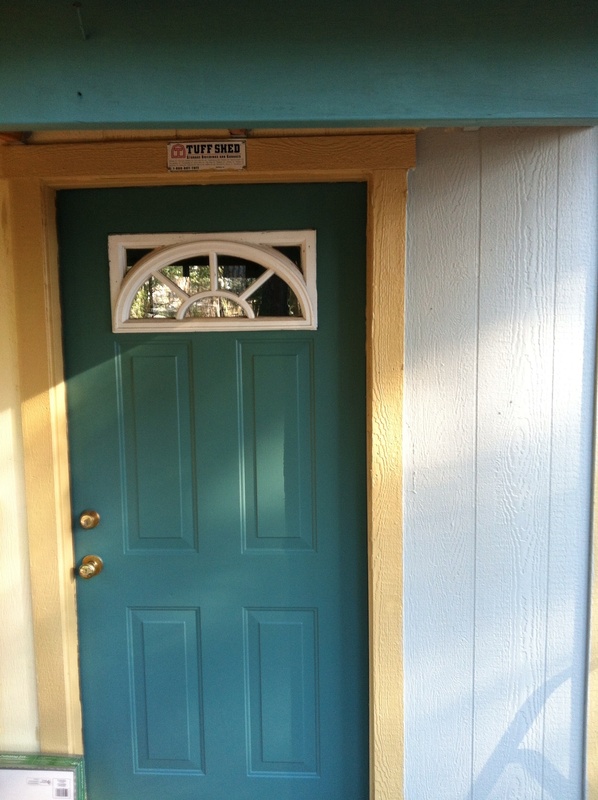 This actualily was the front door , but since we added the front entry porch, we never use this any more. Then I had him take down the mop hooks. So here’s how it looks…… not sure why I can’t write in between the pictures then I went to Home Depot and got theses shelf things, so you maximize the shelf. Pretty cool., and I opened up a whole wall. 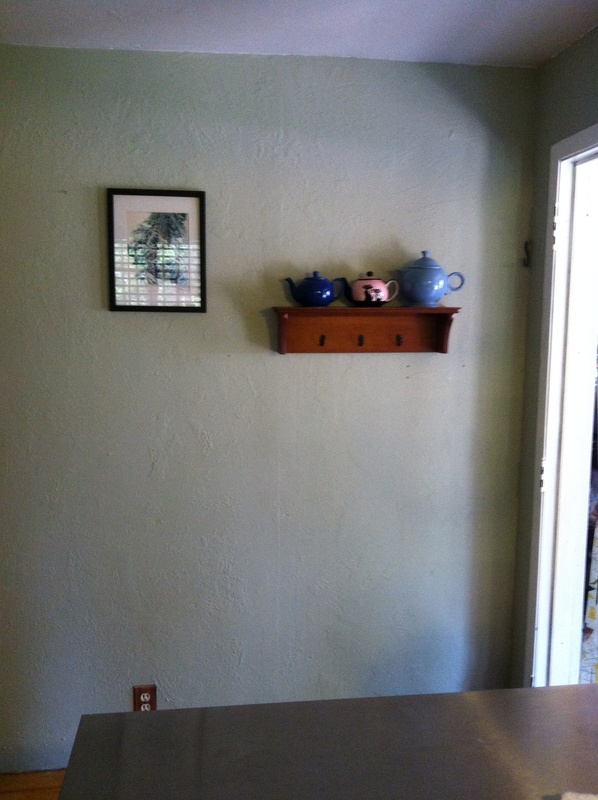 I’m going to put a different picture there .or over the tea pots. I’ve also listed an armoire on Craig’s list. Hope it sells. And I’ve decided to sell or give away the Franciscan ware. I probably might keep the teapot. But well see. 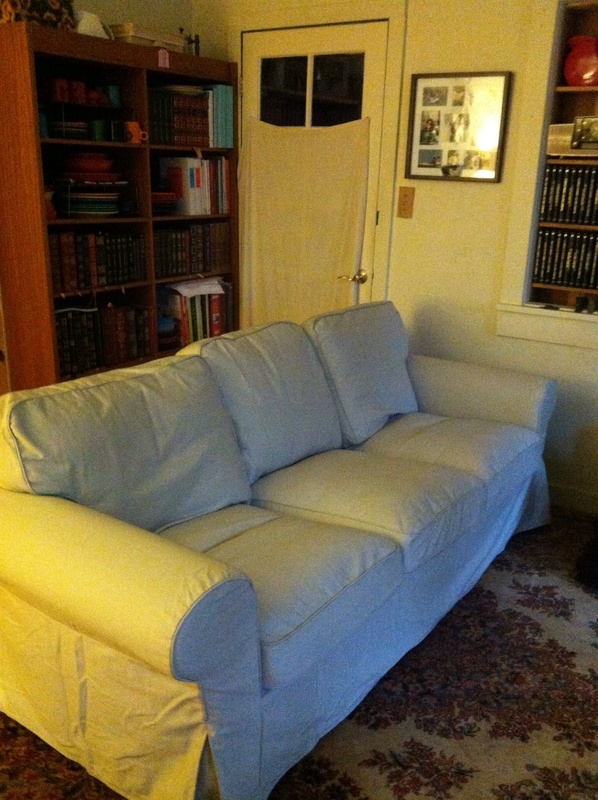 So, I love mid century furniture ,specifically Heywood Wakefield. Here’s ( I hope) a picture of our table. 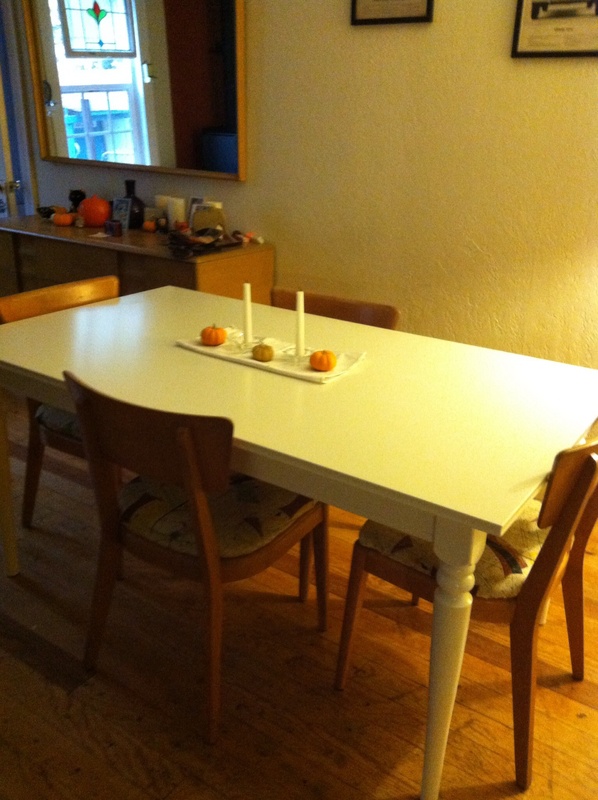 I love this table, but am going to be selling it. why? Because , even though its called a double wishbone, there was a flaw in the design and the table wiggles unless it is against a wall, as shown. So it’s a difficult decision, but I’ve tried everything, so I think I’m going to get a farm type table. 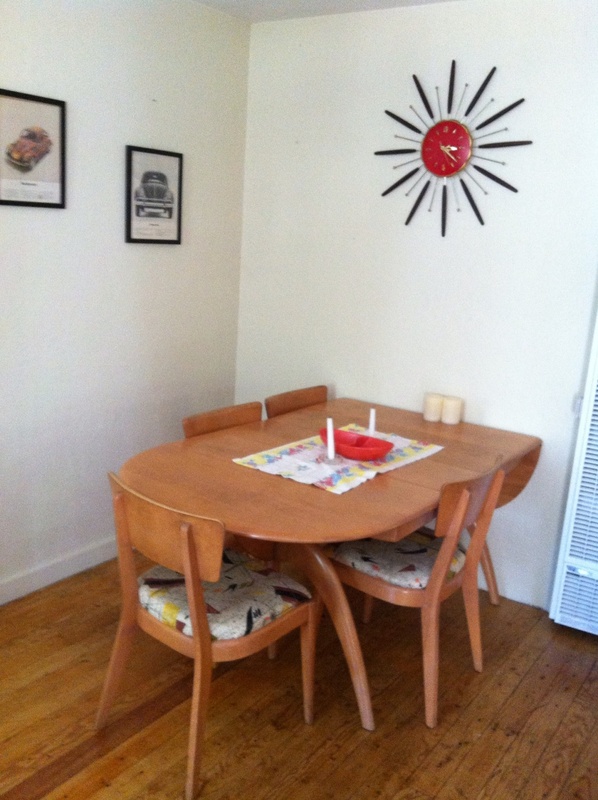 I’d love a midcentury teak Danish one but they are very hard to find and expensive. So , what do you think? Danish, farm type? Ideas?